Brittany Gilman’s journey from professional snowboarder to international entrepreneur has been anything but linear. Ever present on social media and always one to engage with her followers, Brittany Gilman filled her timeline on January 1, 2018, with a series of inspirational quotes, images, and well wishes directed towards her followers. Everything Gilman has gone through thus far in her life, a successful professional snowboarding career, a tenure as a Strength & Conditioning Coach at USC and Auburn, a Bachelor’s of Kinesiology and a Master’s of Biomechanics, a stint as a professional fitness model and about five or six other life-altering experiences has prepared her for the life that she’s currently living. During her snowboarding career, Gilman had to split her time and was essentially living two separate lives. On one hand, she was traveling all over the world as a member of the junior Olympic snowboarding team while on the other hand, she was pursuing a very intense Kinesiology Degree at the University of Colorado Boulder. According to Gilman, the constant back and forth between school and snowboarding didn’t provide her with the opportunity to develop into the athlete she knew she could be. So when she was done with college, Gilman made the decision to snowboard full-time and moved to Mammoth Lakes, CA in pursuit of that dream. However, Gilman’s life in Mammoth was not the life she had imagined. Upon her arrival in California, she switched sponsors and obtained an injury that drained her both personally and professionally. Wanting to take a break, Gilman realized that it was time to adjust her sails and move in a different direction. As a result, Brittany took an opportunity to serve as an intern on the football strength and conditioning staff at the University of Southern California. That opportunity led her to Auburn, where she served as a strength and conditioning coach for a year, while she got her Master’s in Biomechanics. Gilman stayed at Auburn for a year before she decided to move back to California to pursue an internship opportunity with a sports marketing agency in the city. However, that opportunity wasn’t quite what Gilman had imagined for herself. Although the opportunity to branch out on her own was exciting, Gilman admits that it wasn’t easy. So much so, that she even worked for free for the first three years of being in business. And where Gilman is at now, is a fearless entrepreneur and the owner of a successful international sports marketing, PR and management agency, BG Sports Enterprises. The majority of BG Sports clients are NFL and Football (soccer) athletes; however, they cater to all sports, including NBA, MLB, boxing, track and field, and of course snowboarding. They also offer brand consulting to various companies as well. Gilman sees her experience and unique approach as an advantage for her clients because unlike larger firms, BG Sports is able to provide its clients with the individualized attention that’s required to create ideal marketing strategies. “I have been splitting my time between Los Angeles and London, 60/40, for the last year and a half. Prior to that, I made several trips to the UK and other places throughout Europe. I’ve spent a tremendous amount of time expanding my network, learning different cultures, exploring different industries and creating meaningful relationships. All of those relationships were developed with a lot of hard work. Up until a year and a half ago, Gilman’s company focused primarily on American Football players. 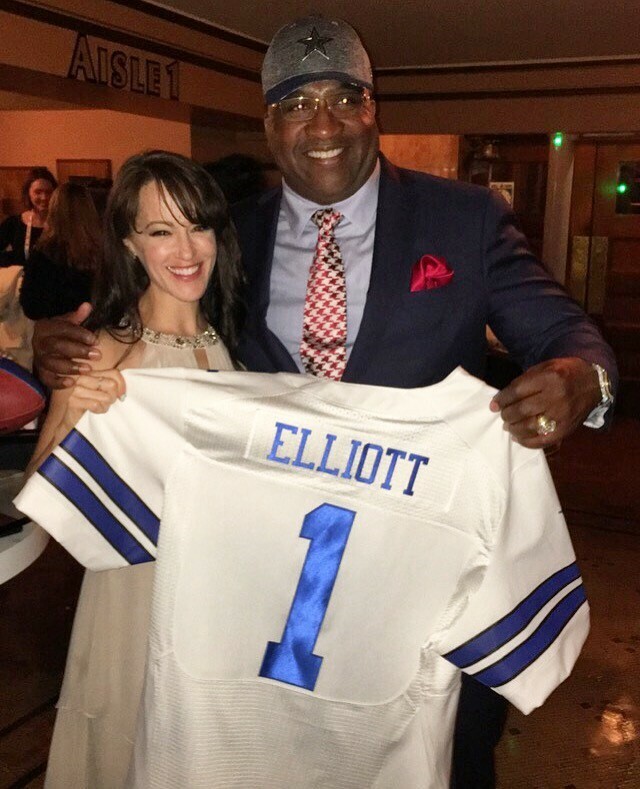 However, she has now begun to turn her attention to the soccer players in the UK and has been employing innovative cross-marketing techniques to connect her NFL and NFL UK players. This duality, between football and American football, has served Gilman well. She has been spending most of her time overseas and through her continued grace, resilience and some old-fashioned hard work, her clients and her company are starting to see the impact. And it’s that opportunity, coupled with her passion and her desire to give back and help empower athletes to lead their best lives and accomplish their dreams (both on and off the field), that keeps Gilman and her company moving forward.